Captain Terrible wore a loud floral-print shirt and a personality to match. 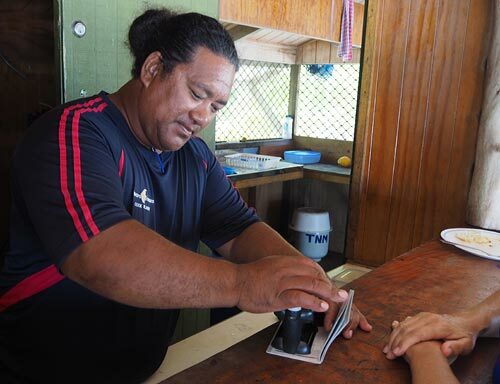 I never did find out why the shuttle driver was called Captain Terrible – my accommodation was a two-minute drive from the airstrip so I didn’t get a chance to ask – but I do know that in my first moments on Aitutaki he ruined my plans for this story. Ever since European sailors first brought back tales of tropical lagoons fringed with white-sand beaches and coconut palms, the islands of the South Pacific have meant one thing in the Western mind: Paradise. It’s a cliché and it doesn’t always fit well with reality so I was determined to avoid the P-word. And now Captain Terrible had spoiled it. My first glimpse of Aitutaki’s picture-postcard lagoon. Truth be told, however, the P-word had crossed my mind even before the plane landed. It was one of those little twin-prop aircraft where you can look over the pilot’s shoulders out the front windscreen, which just happened to be framing a triangle-shaped lagoon the colour of a spearmint milkshake. It was sprinkled with islands coated in coconut palms and ringed by a band of white surf. Beyond that was the deep blue of the Pacific. If that wasn’t a vision of paradise it was pretty bloody close. By good luck rather than good planning my accommodation at Aitutaki Village fronted on to O’otu Beach, which the travel gurus at Lonely Planet say is the best beach on the main island. I had a collection of free kayaks and paddle boards almost to myself because the other guests seemed to prefer the sun loungers. The water at O’otu Beach was blissfully warm but there wasn’t a lot to see under the surface. For that I had to take a boat to one of the smaller islands at the far end of lagoon. Clemen plays it cool during a cruise to Tapuaetai (One Foot Island). I naively thought “island cruise” meant something sedate. 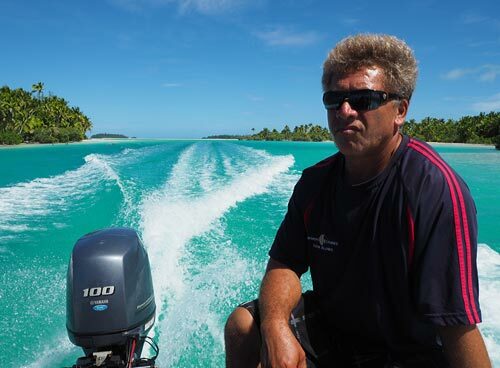 What it actually meant was a high-speed trip across the 12km wide lagoon to One Foot Island (Tapuaetai in Cook Islands Maori) in a powerful fizz boat. Our skipper was Kimi, a sturdy, pony-tailed man who looked like he did nothing in a hurry, except possibly when he was at the controls of a boat. Also on board were two Canadians, two very camp German men squeezed into tiny speedos, a very serious German couple and Clemen, Kimi’s assistant. “Vy do you go so fast? If I vant to get vet I vill go svimming,” grumped one of the serious Germans, wrapping his head in a towel to shield himself from the spray. Kimi dropped us on the far side of One Foot Island – the name refers to a legend about a father and son pursued by warriors, not the island’s size – and pointed us to the best snorkeling spots and a barbecue hut where lunch would be waiting when hunger called. There wasn’t a huge amount of coral but I did see some giant clams and, just as I was about to get out, a pair of giant trevally circled the boat in thigh-deep water just a couple of metres from the beach, their scales sparkling in the sunlight. 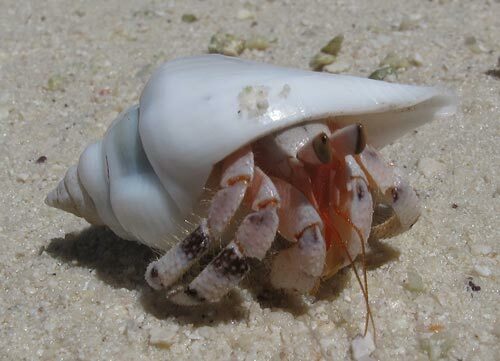 A hermit crab, one of the locals on Tapuaetai (One Foot Island). 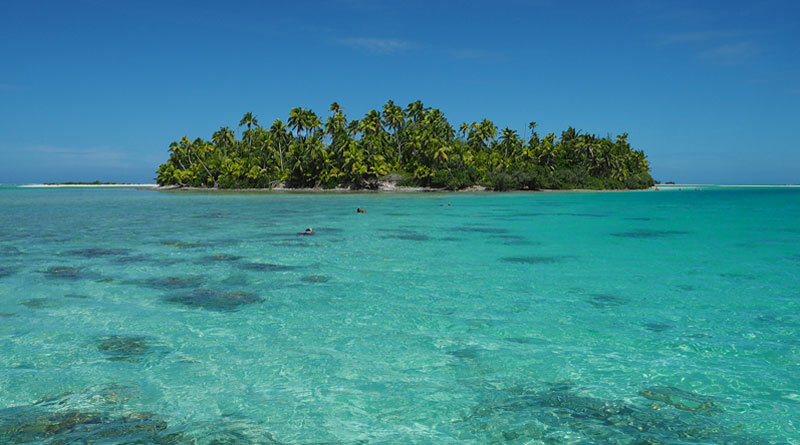 You have little chance of leaving Aitutaki skinnier than when you arrive. Kimi seemed determined to fatten me up with a lunch of freshly barbecued skipjack tuna steaks and mountains of salad and ota, a dish made by baking grated cassava with coconut cream. As I waddled back for my fourth helping I told Kimi I was in heaven. He looked concerned by my lack of geographical knowledge. “No, no, Heaven is over there,” he said, pointing to a blindingly white sandbar which really is called Heaven. “Here, this is paradise,” he said, handing me another sizzling tuna steak. One of the novelties of One Foot Island is that it offers its own passport stamps, even though its only permanent residents are crabs and seabirds. Kimi, who also happened to be the island’s post office clerk and border control officer, frowned as he studied my passport. Kimi stamps my passport after deciding I pose only a minor security risk. Kimi: Are you carrying a weapon? Kimi (pointing at his shorts): Well, that’s strange, because me and Clemen, we always carry our weapons. At that point I conceded that I may have been carrying a concealed taiaha [Maori for spear], but I wasn’t about to show him, border official or not. 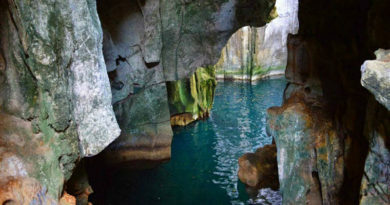 He hooted with laughter and stamped my passport, freeing me to explore the island and wade a few hundred metres through waist-deep water to Heaven. Over in Heaven the colours were so intense I thought I had somehow ended up in a 3D version of one of those kitschy tropical scenes you see in travel agent windows. The sand was so white it burned imprints on the back of my eyeballs, the water was an improbable shade of turquoise and the coconut palms on One Foot Island a vivid green. Even the rear end of the red-tailed tropic bird resting on the sandbank was from another realm of redness. As we left the island Kimi gave me a slab of ota so enormous I’d still be eating it now if I had any way of getting it through New Zealand Customs. 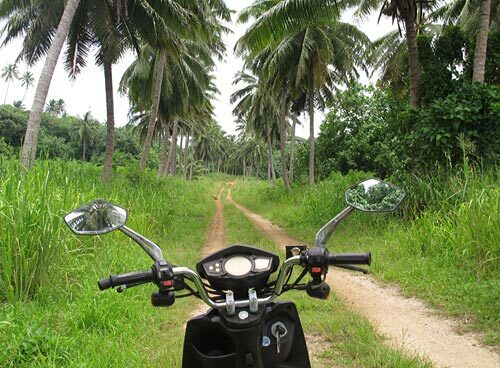 Exploring Aitutaki’s back roads by scooter. A few days earlier, the garrulous Captain Terrible told me fences and ‘keep out’ signs were not permitted on Aitutaki, and dogs had been banished by a wise ariki [chief] after an attack on a child many years ago. 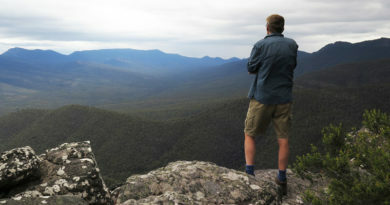 The captain may have been exaggerating – there is, for example, a fence around the airstrip – but his message was clear. Aitutaki was mine to explore and I was welcome anywhere. I put this to the test by hiring a motor scooter and seeing how far I could go. Unlike Rarotonga, where a series of accidents has sparked a clampdown on visiting drivers, Health and Safety has yet to find its way to Aitutaki. Hiring a scooter is as easy as filling in a form; if you ask for a helmet the response will be a blank stare. I found beaches inhabited only by hermit crabs, white-washed coral churches, back roads lined with immaculate gardens, giant banyan trees, Aitutaki’s highest peak (Maunga Pu, 123 metres above sea level) and not one private property sign. In half a day I’d driven almost every road on the island. Nightlife isn’t big on Aitutaki. My favourite way of whiling away the evenings was to sit by the water at Aitutaki Village with a locally brewed Matutu pale ale and watch as the spotlights drew in scores of tiny baitfish, which were then hunted down by bigger fish in scenes worthy of Animal Planet. Members of Te Aito Dance Group perform at Tamanu Beach Resort. Better still is the chance to experience traditional food and dance at an Island Night, hosted weekly at a few of the bigger resorts. At Tamanu Beach Resort, said to offer the best buffet on Aitutaki, I gorged myself on coconut-fed pork, ika mata (raw fish marinated in coconut cream), rukau (taro leaves cooked in coconut cream), poke (a jellylike dessert made from bananas) and ice cream rolled in coconut. Unusually, the resort manager was also the MC and entertainer. When Nick Henry wasn’t wandering around the tables chatting to guests he was crooning Cook Islands songs or telling stories about his grandfather, the island nation’s first prime minister. Albert Henry is possibly best remembered for passing a law banning any building taller than a coconut tree. Once the guests had devoured as much pork and ice cream as they could eat a powerful burst of percussion on wooden slit drums announced Te Aito Dance Group was ready. Women in grass skirts and coconut-shell bras, performing a rhythmic, hip-wiggling dance so sensuous you wonder why the missionaries didn’t ban it along with everything else that was fun back in the 1800s, alternated with muscular warriors spinning fire sticks, framing themselves in blazing circles of light. In just three days on Aitutatki I felt like I’d crammed in enough swimming, kayaking, eating and idling about to get me through a New Zealand winter, even if Captain Terrible did foil my plans for this story. But maybe he was right all along. The author visited Aitutaki as a guest of Cook Islands Tourism. This story was first published in the New Zealand Herald Travel, May 2017. Unlike Rarotonga you can still hire a scooter on Aitutaki without having to sit a test (and don’t even bother asking for a helmet). You can putt around the main island and explore pretty much every back road in half a day. If you can handle the heat you can hire a bicycle instead; you can even hire a car, but I have no idea why you’d want to. A scooter costs around NZ$25 per day. Island Night buffet at Tamanu Beach Resort. 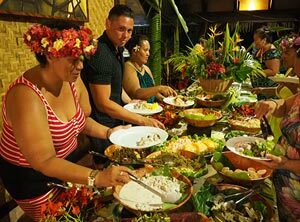 The weekly Island Night at Tamanu Beach Resort is famous for its enormous buffet —If you leave hungry something’s wrong. Entertainment is provided by the dancing/drumming/fire juggling Te Aito Dance Group, plus the resort manager who croons Cook Islands songs while uncle plays the keyboards. Remember postcards? For some reason postage from Aitutaki is way cheaper than from New Zealand, plus the gorgeous postcards and stamps are sure to induce paroxysms of envy if you send them to friends in wintry climes. The post office is disguised as a mobile phone store but easy to find on the main intersection in town. Okay, it’s not much of a mountain, but the views from the highest point on Aitutaki (Maunga Pu, 123 metres above sea level) aren’t bad. 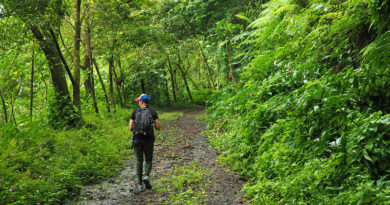 The track is signposted from the road about halfway between the airstrip and the main town. 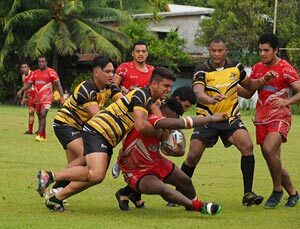 A bruising rugby league match on Aitutaki. Normal life stops and everyone on the island heads to the football field in the centre of town when the Aitutaki Sharks play any visiting league team. Great sideline atmosphere and plenty of bruising on-field action. One of the best places to eat on Aitutaki, Tupuna’s is tucked into a garden on a back road in the middle of the island. Try owner Tupuna Hewitt-Slattery’s chili and lime version of ika mata or her pan-seared tuna stuffed with shrimps and cheese. 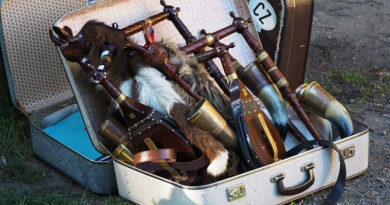 Traditional Aitutakian culture can be hard to find. 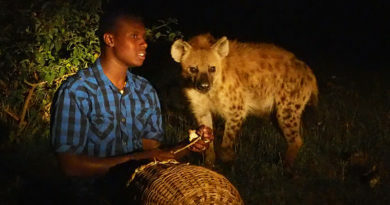 The passionate and knowledgeable Ngaa, owner of Punarei Culture Tours, will put that right by showing you how to prepare an umu and taking you to a stone marae hidden in the bush.